The lack of mainstream popularity in bodybuilding has been discussed more times than most bodybuilding fans care to remember. At first glance, “mainstream” attention may seem like something we must pursue as an industry, due to the vast increase in contest winnings and large endorsement contracts it would more than likely provide. However, when looking at the big picture, mainstream status with regards to bodybuilding is a Shaq Daddy sized order. Some extremely popular sports with multiple times more competitors and prize dollars than bodybuilding are still far from being truly mainstream. Attempting to make bodybuilding mainstream without first increasing the number, diversity, and talent of the competitors and competitions is, for lack of a better term, putting the cart before the horse. In other words, we must grow the sport from the inside out, by ensuring that young talent is able to be introduced to the sport, via proper guidance and opportunities. It would be unfair to say that not enough people are exposed to the sport, that is simply not true. 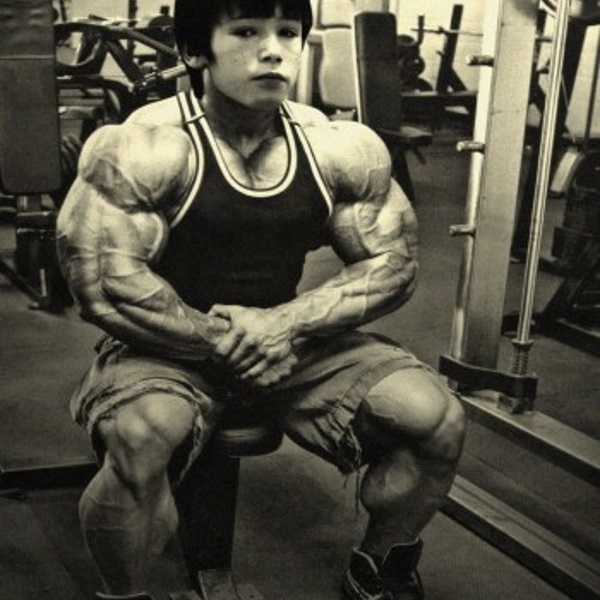 Any young man who is not living under a rock, will at some point come across a photo or video of an awe-inspiring, professional caliber sized bodybuilder. What is true however, is that very few people choose to partake in the sport, or just as importantly, they partake in the sport for a couple of years, only to give up due to discouragement. Even more common are the guys who will only pursue bodybuilding recreationally, and never attempt to reach professional status or make a living from the sport. Bodybuilding is atypical in the fact that a person can be extremely gifted at it and not fully realize it, or realize it at all, for that matter. The same can not be said in regards to being an extremely talented pitcher in baseball, running back in football, or naturally excelling at golf. With any of these talents, you would hear about it from different people on a regular basis, be it coaches, friends, or other athletes, as well as get asked about your future plans in those given sports time and time again. Often times, a bodybuilder with phenomenal genetic potential, or at least decent genetic potential, coupled with a fantastic work ethic, will never come to realize the gifts they have, because no influential person is there to guide them. Young bodybuilder’s families and friends are not usually going to have a keen eye for the physical attributes that make a world class bodybuilder, the way that a seasoned person who is deeply involved in the industry would. The problem is, these people who possess a “keen eye” for physiques, tend to be as few and far in between as Philippine eagles. These individuals being our top bodybuilding gurus, legends of the sport, and active, powerful company owners. Whereas in most other sports, these talented, seasoned people are abundant, as well as prepared to give a helping hand and/or word of advice to younger athletes without hesitation. This may be a product of the adolescent situation of being fairly new and sometimes downright awkward that our sport is in when being compared to nearly all others. By now, all bodybuilding fans should be familiar with the story of Jay Cutler “discovering” a 190 pound Phil Heath very early on in Heath’s career, while guest posing at the amateur event that the future Gift was competing in. Jay, being a seasoned pro, recognized straight away that this kid was of some seriously rare pedigree. Jay went on to play a pivotal role in getting Phil his first contract with Weider AMI and launching Phil’s career as if that first contract was instead with NASA. Speaking of Weider, Joe Weider himself also “recruited” a young bodybuilder named Arnold in his early youth. If you need that story to be retold at this time, you may want to make like Christ and rise from the dead. Obviously, it is difficult to say where Phil would be today if he had never ran into Jay on that fateful day. It is not impossible however, to think that he might have gotten discouraged somewhere down the line and called it quits, leaving the bodybuilding universe void of one of its greatest gifts (pun intended). If this seems unlikely, consider this: Dexter Jackson and Shawn Rhoden are just two examples of super elite bodybuilders who both came extremely close to giving up for good on the sport they now dominate. After being vastly overlooked attempting to get his pro card at the nationals, Dexter all but called it quits. Luckily for the bodybuilding world, Dexter decided to give winning a pro card one more try, and the rest is history. In a much different scenario, Shawn Rhoden experienced the death of a close loved one, slipping him into a depressed state and causing him to completely give up on bodybuilding for several years. That said, one must wonder how many hundreds of amateur bodybuilders with similar other-worldly gifts to Phil (another pun!) have given up on this sport because they had no significant mentors to take them under their wing. What our sport may need more so than “mainstream appeal” is an effort from the true experts in our industry to seek out young talent and do what they can to prevent that talent from going to waste. Men like Arnold Schwarzenegger, Chris Cormier, Chris Aceto, Dennis James, Chad Nichols, Hany Ramrod, Dave Palumbo, George Farah etc. have the ability to “launch” young careers in a similar fashion to the way that Jay launched Phil’s career. This is not to say that these men do not already do this. Quite the contrary. Dave is partly responsible for the successful careers of Evan Centopani, Juan Morel and Akim Williams, just to name a few, while Chris Aceto helped to bring Jay Cutler to the very top of the professional bodybuilding scene. These types of stories are inevitable in our industry, however it would be of much value if these elite figures not only thought of themselves as coaches, nutritionist, and company owners, but also, bodybuilding recruiters. Men possessing this level of knowledge and influence in our industry should take responsibility in “recruiting” new talent into our world, or at the very least keeping the limited talent that is already there firmly in place.